Today I write in a state of gratefulness and awe. Amazed that the words written by one man near two-thousand years ago could reach into my reality and change the way life goes for me. And for others like me. Three weeks ago I invited an odd assortment of people into my home to work our way through the book of James. I didn’t put too much thought into it – not in a real thinking sense – but followed my gut. Some of them didn’t know each other, some of them didn’t know why they chose to come, but we began the journey holding our hands around my kitchen table and praying for guidance with the smell of lasagna baking in the oven. It took all night. Everyone at that table was going through a trial. Without going through the details we waded through insight. The fascinating concept of considering it JOY when we are faced with a trial. The order to do so – not please think about considering it joy, but CONSIDER it. 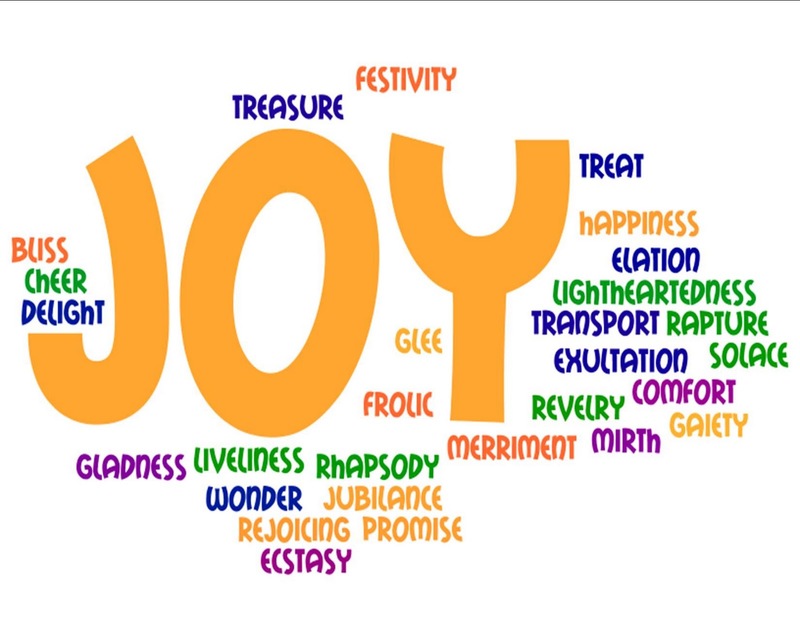 Also fascinating was that it was JOY we were ordered to find. Not peace, not submission, not acceptance, not surrender which take some doing in their own right, but the nigh impossible JOY. The responsibility rested heavy on the kitchen table. The order that if you cannot find that joy, please ask God for wisdom and don’t do so with doubt. It was clear that this Considering it Joy business is a practice, something to be renewed every morning and turned into perseverance, not a one off entrance into a state of bliss. The responsibility that is placed in our hands is to apply ourselves diligently to the task of creating joy out of pain. Not to mention the reward. Wouldn’t you like to be complete, not lacking in anything? Wouldn’t you like to be wise and full of joy? Wouldn’t you like to transmute the emotions brought on by trials and simply experience pure JOY in spite of circumstances? But do we trust that this will happen? Through the course of the past few weeks I have been pursued by James and his inspired order to Consider it Joy. A friend who often sends me his readings from his morning devotions spent three days on subject matter centered around dropping the complaints and entering His presence with praise. My own daily devotional emails from a well followed womans devotion site led me through conscious decisions to be grateful. My life coach and I spoke of the power that is created in the space where you have done the work to take responsibility. Our pastor spoke on reliance on the Spirit to guide our walk through the Christian life where there is Joy. And trial after trial forced me into practice over the course of the last week in particular. It has been a fascinating journey that would have been eerie if the stalking had been done by any other spirit! Across oceans, a similar journey through James has run parallel. A blogger that I follow has been pursued by a stream of the same ideas over the course of the last few weeks. I invite you to read Andy’s blog and see the shared lessons from the book of our mutual friend, James. This entry was posted in Bushlings Wisdom and tagged bible, Bible study, christianity, church, Holy Spirit, James by Nikki. Bookmark the permalink. Our small group is working through James too! For me, so much is about taking my eyes off of myself and knowing there’s a greater context — in God’s grand plan, how much time should I really spend sulking or wallowing in my own selfishness or version of how things “should be?” . . . And asking God for wisdom and joy not in timidity, but with expectation, knowing He can do immeasurably more than we can ask or imagine! LOL great to have a good friend in common! This is a very powerful concept and something that is very timely for me…thanks for sharing the work you and your friends are doing! Thank you for visiting! I’m honoured that something timely for you would be found here. Thanks so much for linking to my blog. I am very humbled by your appreciation of what I have to say. I wanted you to know that your encouragement is a real help to me when the self-critic takes control and nothing I write seems good. Thank you so much. Kill that critic! You rock!